Last September, Evergreen Personal Injury Counsel officially relocated the office to downtown Tacoma. Securing the right environmental design of our new space to provide a comfortable, safe atmosphere for our clients was important to the team. 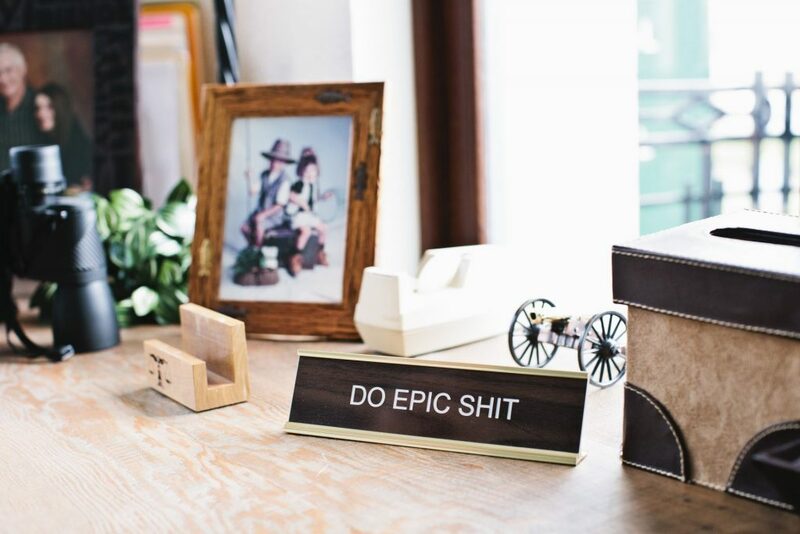 Each attorney had the opportunity to decorate their office to best represent their unique personal brand. Attorney Stephen Bulzomi has made himself home here at the Bowes Building. With more than 30 years of law experience under his belt, our team at EPIC look up to Steve for his leadership and unwavering professionalism. When he’s not advocating for the interest of his clients, Steve enjoys spending time with his family, staying active, and rooting for his alma mater – go Huskies! 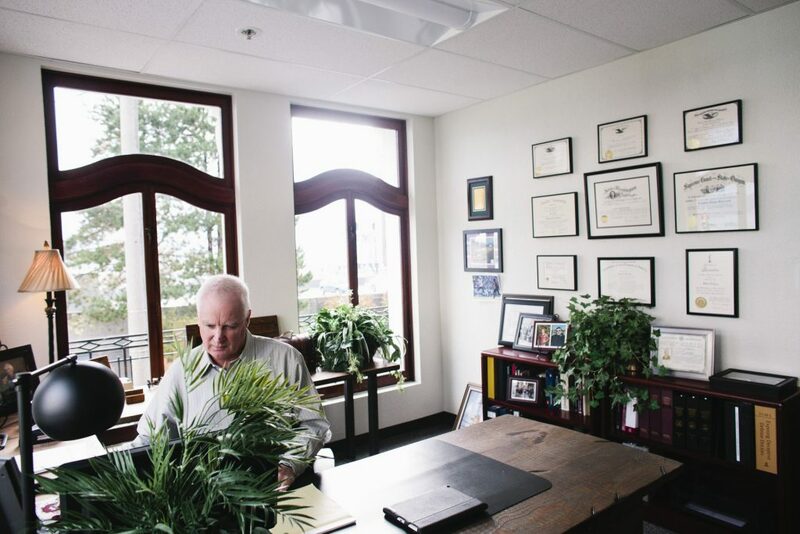 Along with the multitude of plaques, certificates, and awards that decorate his walls, Steve brings life into his office with lush indoor plants placed throughout. Research shows that having greenery in the workplace can improve productivity, along with mental and physical health. Steve likes the color and shape that plants add, along with helping to dampen the street noise. 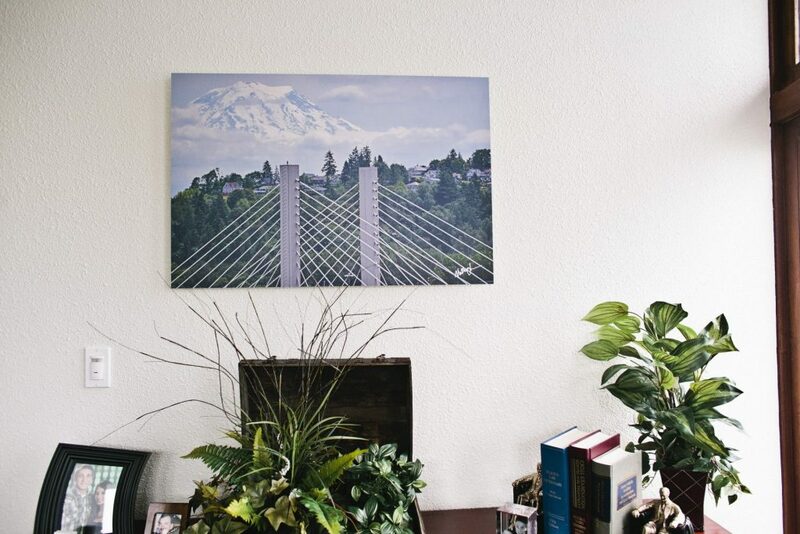 Among the art that adorn his office are family portraits, scenic Tacoma landmarks, and a humorous (and quite fitting) reminder. Steve’s office, which sits on the second floor of the Bowes Building, offers an amazing view of the surrounding downtown neighborhood and Commencement Bay. Even in cloudy fall days, the view exemplifies what EPIC loves the most about being in Tacoma – the grit and the rich culture of the city.